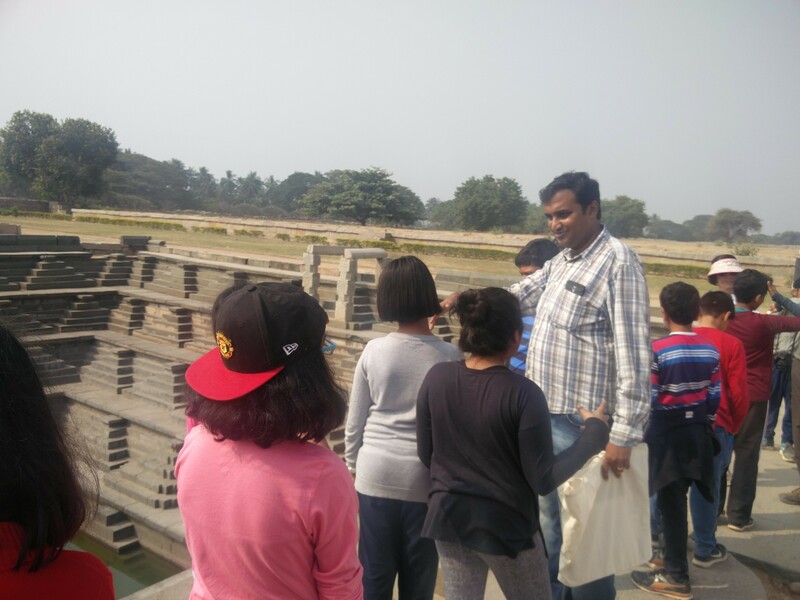 Introduce methods of heritage interpretation such as reading inscriptions and archival documentation. 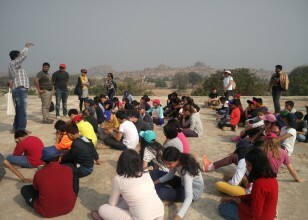 In the 2019 edition of the tour, on the first day, the tour began with a session on techniques of reading maps on the top of Hemakuta hill. 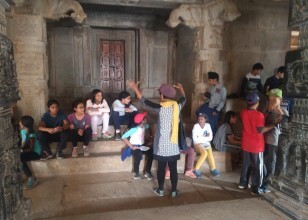 The students undertook a navigation activity to understand the concepts of map reading. 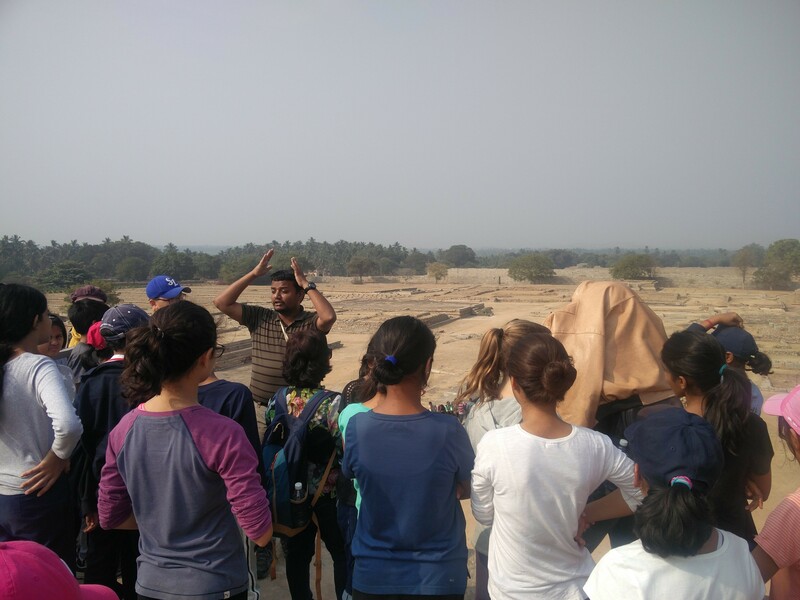 The students visited a live archaeological excavation site and were explained the process of excavation. 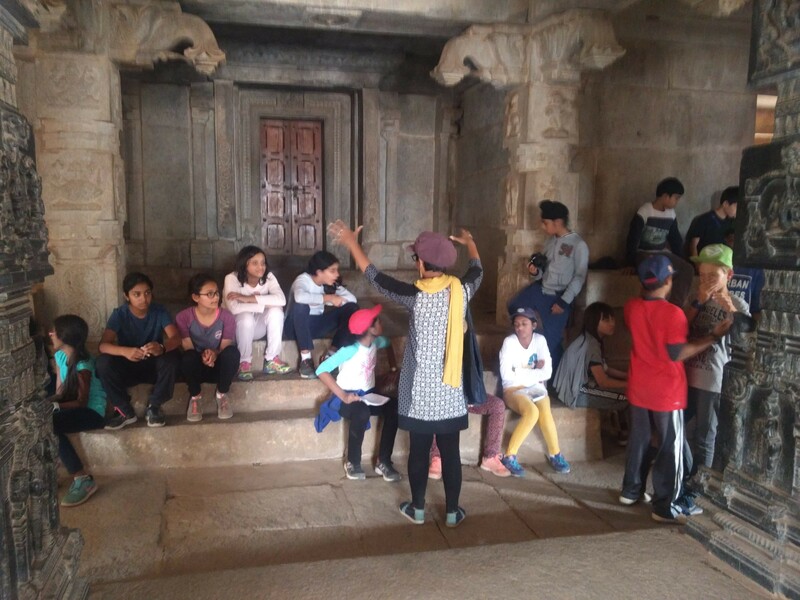 The half day tour was conducted along the river covering the sacred sites of Hampi. The second day commenced with a trek up the Matanga hill. 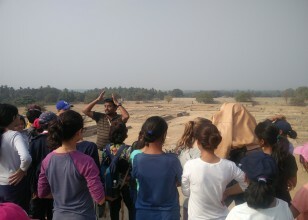 The students learnt the important geographical concepts atop the Matanga hill. Afterwards, the students visited the royal enclosure. 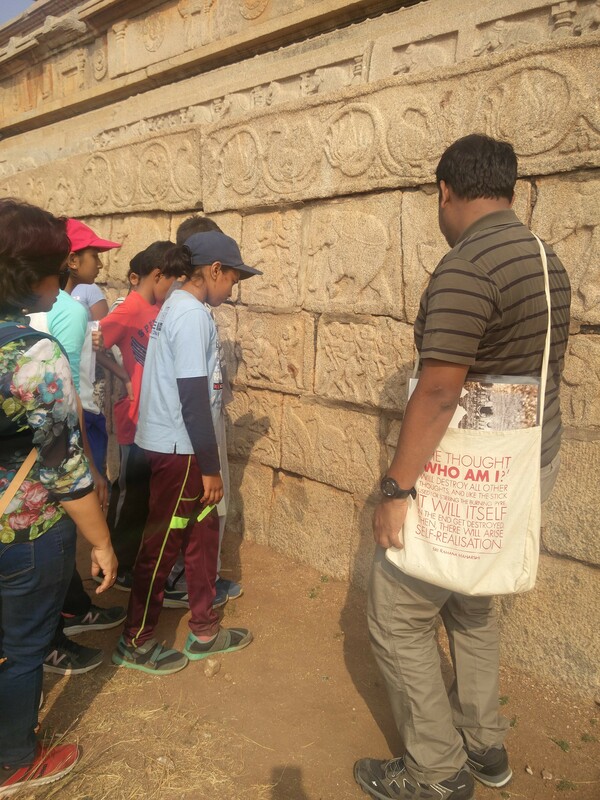 Old archival photographs were used to help them understand a comparative study of the monuments. 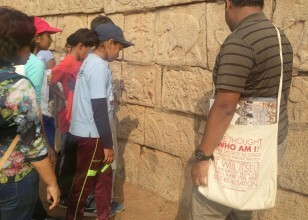 Within the royal enclosure, students learnt about the ancient rituals and practices of the Vijayanagara kings and also studied the various inscriptions. A total of 66 students participated in this educational trip and the tour was organised in partnership with Fieldtrips - a travel management company.